Moscow, Russia - May 09, 2013: Airsoft team is getting ready for the game in the forest. People in military uniforms using a copy of a firearm. 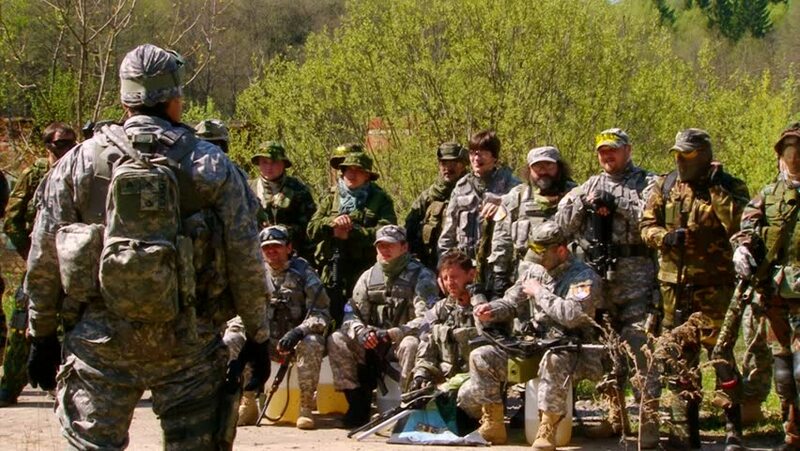 hd00:12Moscow, Russia - May 09, 2013: Airsoft team in military uniform with a weapon on background of forest. Sports game using a copy of a firearm. hd00:18Lisichansk, Ukraine - 23 July, 2014: Ukrainian army during counter-terrorist operations in the East of Ukraine in 2014.